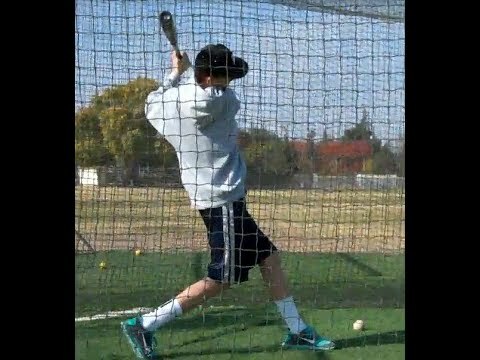 Baseball Hitting Mechanics Video: Form Fix? 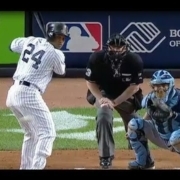 …We’re comparing the “Fight” position of one of my young hitters to Robinson Cano. You’ll discover a little known technical flaw limiting explosive rotational power. Cleaning this up gears the body for a more effective turn. It’s amazing how many flaws happen before the Final Turn evens takes place. I would say 75% of the mechanical breakdown can be solved before the Final Turn takes place. 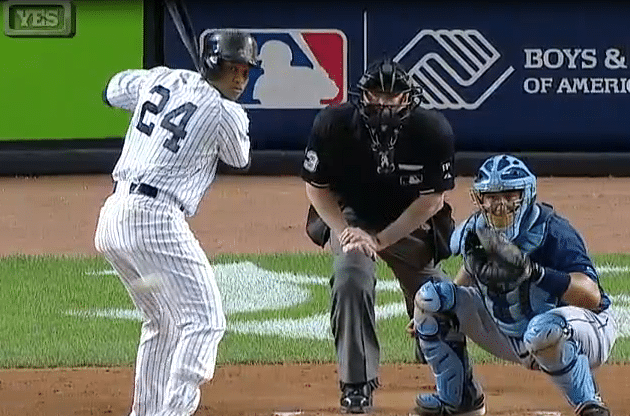 Robinson Cano has such a friction-free swing that it’s critical we copy his pre-turn positioning. He’s one of the most consistently powerful guys in the game, and not very big by today’s standards. https://hittingperformancelab.com/wp-content/uploads/2014/01/baseball-hitting-mechanics-form-important-hitting-performance-lab.jpg 360 480 Joey Myers https://hittingperformancelab.com/wp-content/uploads/2018/05/hitting-performance-labs_c90c0362088ef1d3d528f3078f4f8ac1.png Joey Myers2014-01-12 23:50:362018-12-30 05:14:45Baseball Hitting Mechanics Video: Form Fix? What does Ian need to work on? 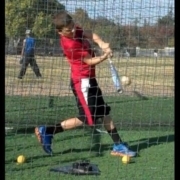 I wanted to show a snapshot in time of one of my eleven-year-old hitters. Ian is working on staying short with his limbs – pre-landing position – in order to turn faster. His front arm tends to move back towards the catcher too much, which causes it to bar out and turn his torso slower. Make sure you’ve hidden your hands from view – like a boxer would when he’s going to deliver the knock out blow. CLICK HERE for an MLB case study YouTube video I did on David Ortiz looking into how Big Papi used the same Snapping Towel Metaphor in the 2013 Playoffs. 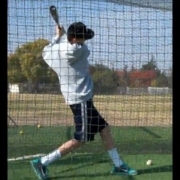 I’ll be doing a lot of baseball hitting mechanics video case studies of my own hitting students. Some where I do before and afters of their own swing. And other times, comparing their swing to a small-bopper I think is relevant to them. I think these case studies help coaches and instructors eliminate the excuse of how young hitters can’t develop high level mechanics. The main objective of the Hitting Performance Lab is to show we’re not arguing about linear versus rotational mechanics. It’s that we’re discussing human movement. It doesn’t matter whether you’re male or female. Young or mature. Baseball or softball. We’re talking about how the human body is designed to efficiently move. 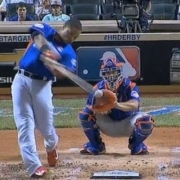 What baseball hitting drill he needs to be working on to clean up his Fight Position. 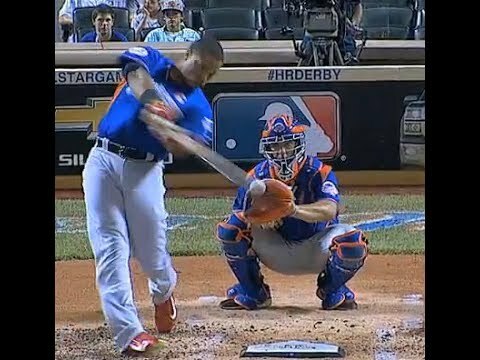 In the beginning, Jarred was one of those hitters who came in turning and burning on every pitch. Head flying out. Shoulders doing the same. Very inconsistent with his power. 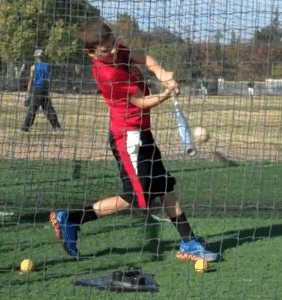 Once I got him to realize the swing isn’t all about muscle activation, but about using the forces of gravity to give him a “head-start”, he started seeing the ball rocket off his barrel. You see, it’s all about technique. Not athleticism. Sure the latter helps. But it doesn’t mean a small hitter can’t out-slug a bigger one…just look at how Andrew McCutchen (5’10”, 190lbs*) beat out Paul Goldschmidt (6’3″, 245lbs*) for the 2013 NL MVP. 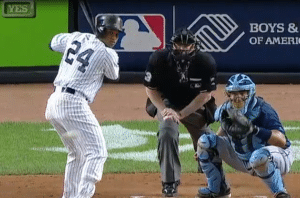 For more baseball hitting video trick information, CLICK HERE to watch a four-minute video where Dr. Kelly Starrett reveals a simple Spine Integrity Test you can do with your players right away. Also, I’d be forever grateful if you SHARE THIS POST to Facebook or Twitter. The more people we can help educate the BETTER! You can also follow me on Facebook, Twitter, and Subscribe to my YouTube Channel HitPerformLab above. And of course, if you have any questions or comments on this post, please direct them below…thanks for watching!